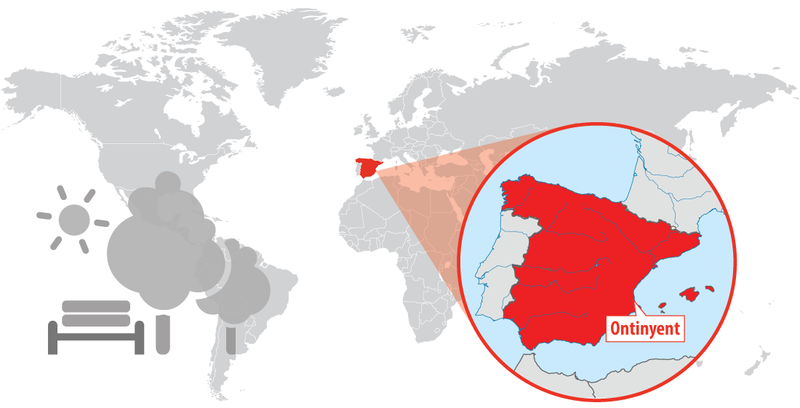 Spain has several biogeographical regions due to its sunny and warm weather with distinctive gardens and public parks. Each green area has its own characteristics depending on where its located. They vary from the Baroque gardens of Central Spain to the Mediterranean gardens of the coastal region or the Islamic gardens of Southern Spain. The maintenance of parks is very expensive and requires continuous care from gardeners. For this reason deploying a proper water, soil and environmental monitoring system would save cost and resources. Intelkia, a Spanish start-up focused on projects related to the Internet of Things, has developed a Smart Garden solution based on Libelium Waspmote sensor platform to optimize the use of resources in a sustainable way and save costs to their customers. 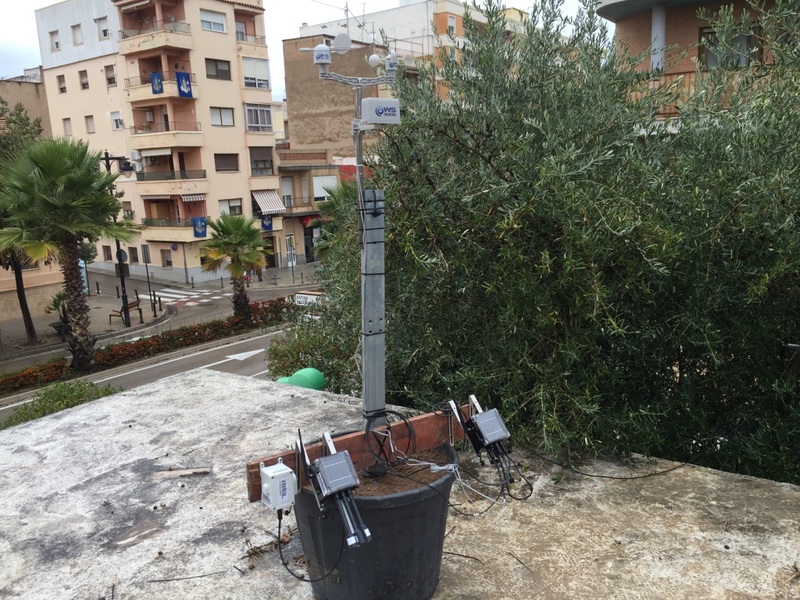 The city of Ontinyent in Valencia has been the first municipality in Spain to take advantage of wireless sensor networks technology applied to green areas projects. Water Quality: Monitoring the water not only for irrigation but also for the fountains will help to keep gardens in the best conditions. Air Quality: Air monitoring in parks can help understanding how pollutants behave in these areas and also know the quality of the air that is breathed there. Soil Quality: It indicates how healthy are our plants and if their environmental conditions are optimal for their growth cycle. Water flow measurement: This information indicates consumption and efficiency levels of irrigation network and the presence of any leakage in the system. Controlling irrigation system: A smart and controlling irrigation system will help saving water by irrigating areas depending their needs and conditions. Security: In order to avoid any kind of theft (water, tools, fertilizers…) the doors of every tool shed and manhole in the garden are monitored. Waspmote Plug & Sense! Smart Agriculture PRO: soil temperature, solar radiation, trunk dendrometer, leaf wetness, soil moisture and Weather Station WS-3000 (anemometer, wind vane and pluviometer). Waspmote Plug & Sense! Smart Water: oxidation reduction potential, pH, water temperature, dissolved oxygen and conductivity. Waspmote Plug & Sense! 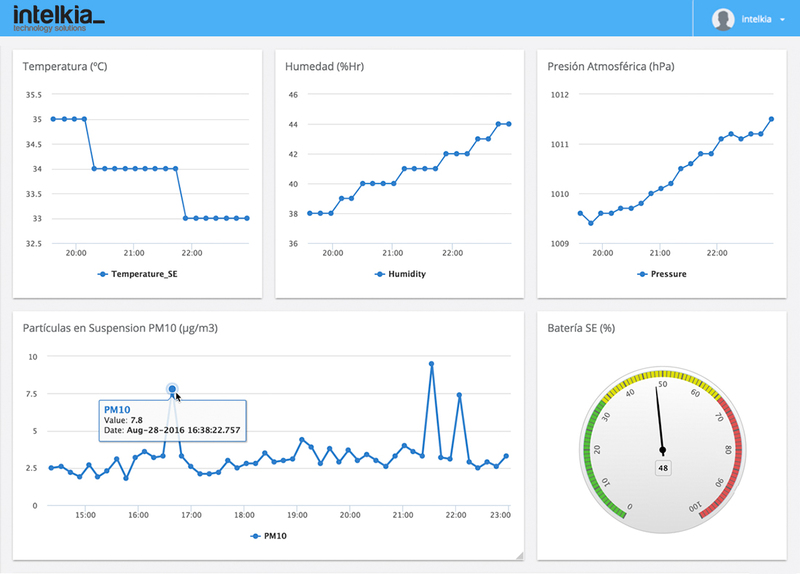 Smart Environment PRO: O2, NO, CO2, Particle Matter – Dust Sensor, air temperature, humidity and atmospheric pressure. 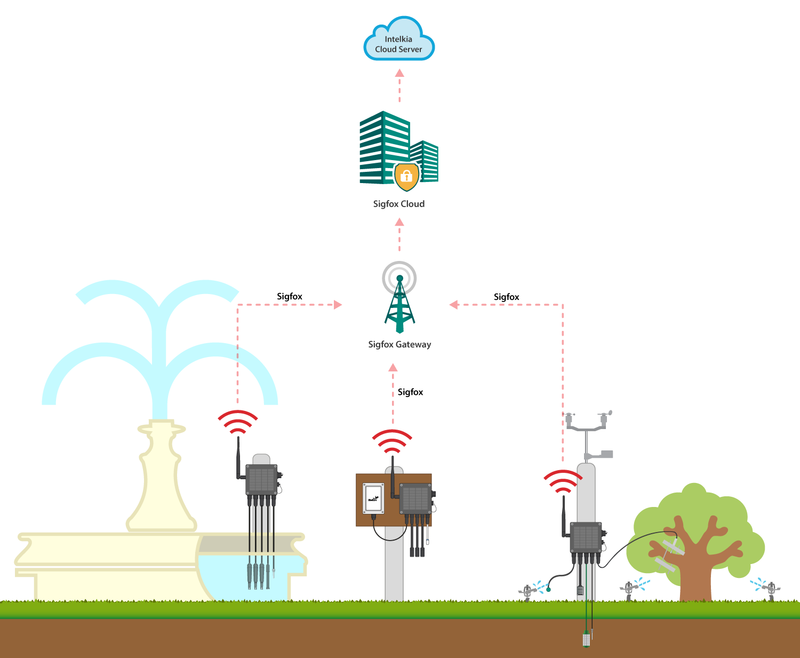 In order to ensure the installation of the wireless sensor network in any area, even where there is low coverage, the company choose Sigfox to send the information gathered by Waspmote Plug & Sense! directly to the platform every 10 minutes. Sigfox, as a low power consumption technology, enables the possibility of using rechargeables batteries with solar panel power supply. All the collected data is retrieved and stored in real-time in Intelkia cloud platform where it is analysed and displayed on a dashboard. Furthermore, this data is a great source to forecast long term predictions based on trends. One of the main requirements before starting the project was developing a platform able to predict and give enough information to take decision based on facts. Intelkia platform help gardeners to decide when to start or interrupt the irrigation system or to alert the maintenance managers of the park of any security breach just through an intuitive mobile application. 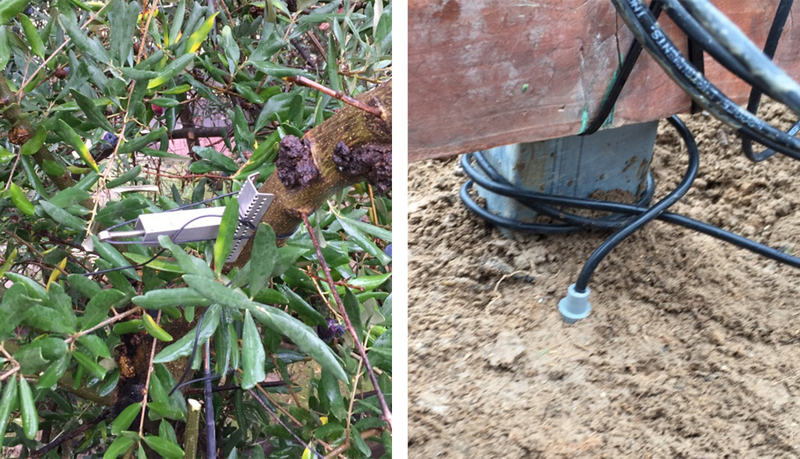 Irrigation system has been automated in the garden area, the gardeners are noticed by the platform in flowerpots where there is not an automatic irrigation system. The information gathered by the cloud platform is not only available for gardeners or public managers, citizens can access to data and the visualizer on a computer and also tablet or mobile via an application. Green areas maintenance is nowadays optimized thanks to Waspmote Sensor Platform. Intelkia is helping companies to save resources and this first project is reducing water and pumping costs in a 30% in relation with previous years. “We are excited to have partnered with Libelium to develop our Smart Garden solution. We expect to develop other monitoring systems in several gardens and public parks along Spain, specially in southern regions such as Alicante, Murcia or Andalusia”, affirms Miguel David Botia, IoT project Manager of Intelkia. Contact Libelium Sales Department for more information about our products.